Fair Weather Flying LLC, holder of FAA Air Carrier Certificate 6FWA338M, offers point to point helicopter charters anywhere within the contiguous 48 states. 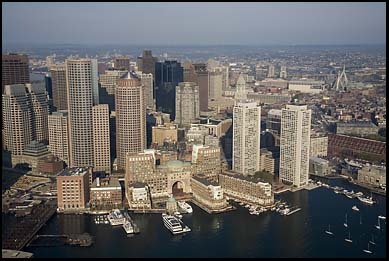 Our home base is Hanscom Field (KBED), 12 nautical miles northwest of downtown Boston. This is the closest general aviation airport to Boston. We fly the Robinson R44 helicopter, which has room for three passengers and limited baggage. The R44 has a cruise speed of approximately 130 mph and a range of over 300 miles. If you enjoy seeing sights on the ground as you fly, you'll like the helicopter much more than an airplane. Email info@fairweatherflying.com for a quote and to schedule.